At Escuela Falcon, these are typically organized in the afternoon following the class schedule, and are led by one of the instructors. 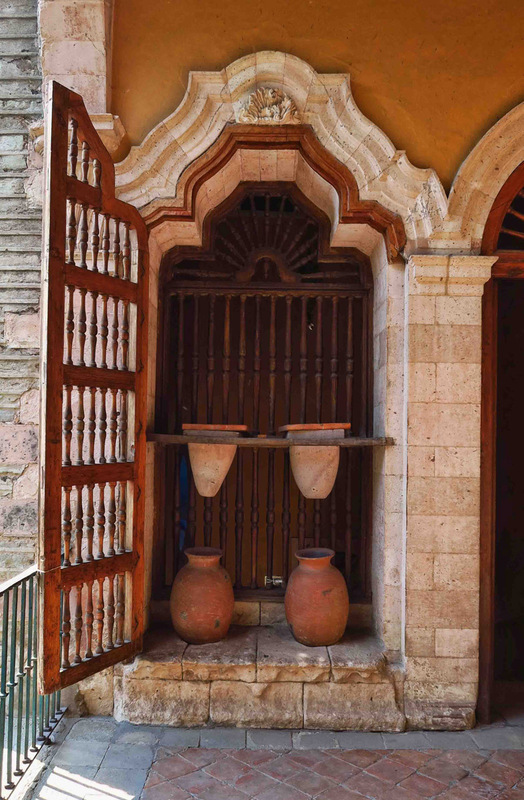 Though the instructors may not be official “guides,” they are a wonderful resource in helping translate and interpret exhibits, placards and directions that are offered only in Spanish. Students typically share the cost of transportation and pay their own admission, keeping the cost of the tours low. 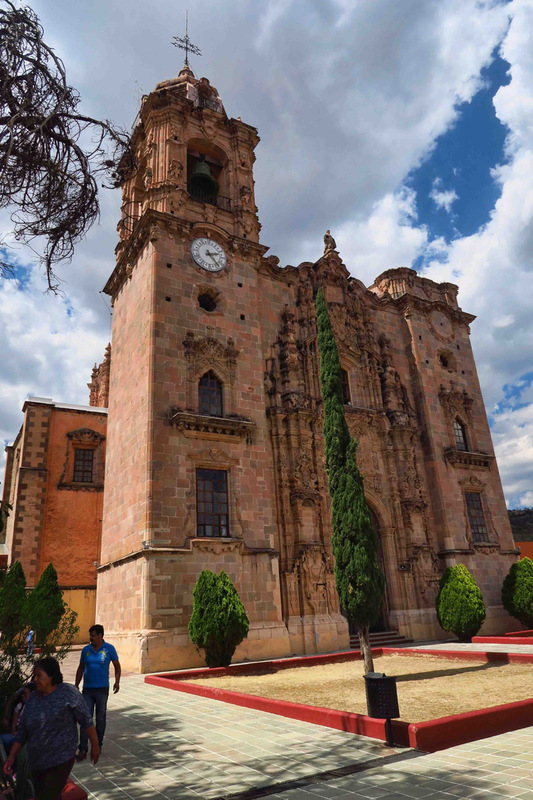 Guanajuato was once a city of great wealth attributed to the silver mines that reached peak production in the late 1700’s. 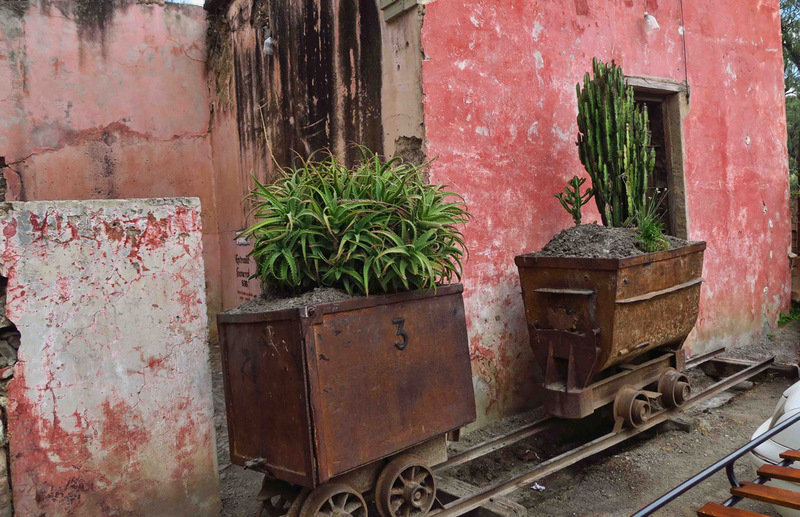 La Valenciana, just outside of Guanajuato City, was Mexico’s largest silver mine. 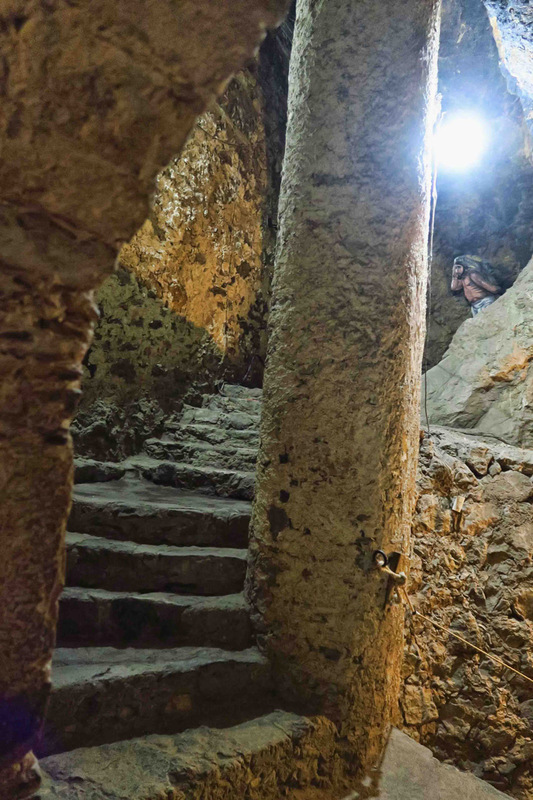 Considered the world’s leading silver extraction center, the area once produced 70% of the world’s silver at its peak, leveling out to 30% over time. The mine is still in operation today. 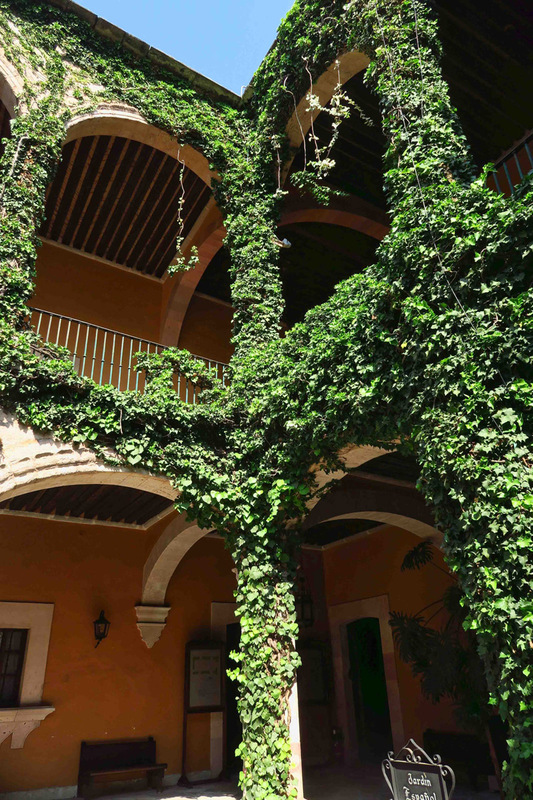 Many of the magnificent mansions, haciendas, and neoclassical style buildings that make Guanajuato feel more European than Mexican were built on the backs of the silver miners, most of whom were indigenous people. 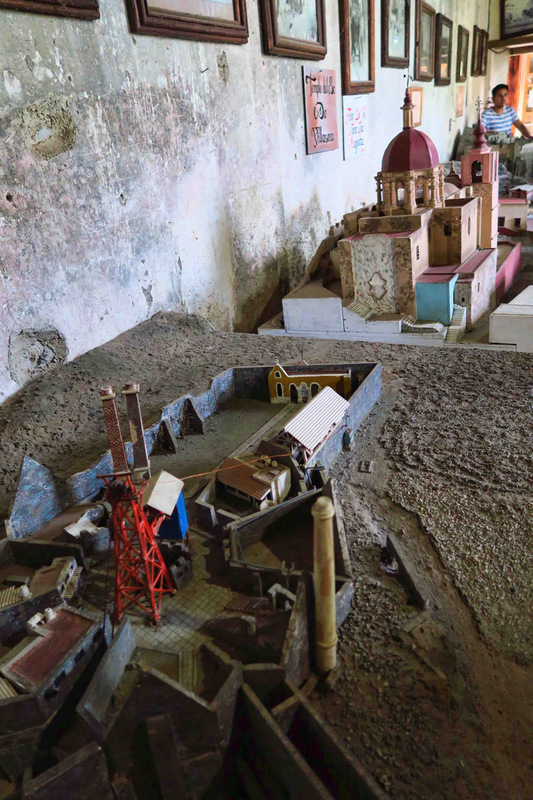 Dioramas depict what the working mine looked like. Posing at the entrance to the mine while being photobombed by classmate. Entrance to the mine. Tour is not recommended for those with bad hips, knees, heart or back issues. There is a great tour that leads 200 feet down into the mine, complete with dioramas and hard hats. If only I spoke Spanish. Claudia, an instructor from Escuela Falcon comes along with us. We hold back at the end of the group while she translates some of the highlights of the tour. 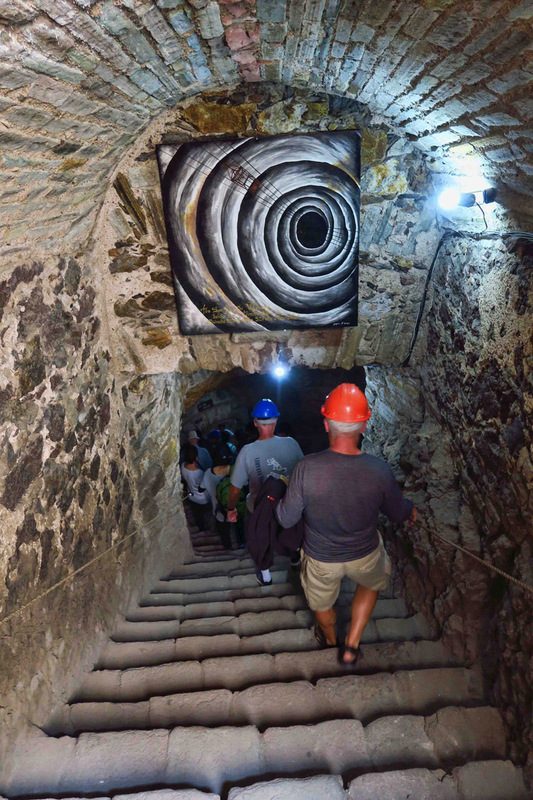 We learn that 10,000 people have worked in this mine. The most primitive of mining methods was to heat the rock, then blast it with water until the rock exploded. Judging from the expressions of the tour participants, there are tales of a grim life of the miners, complete with abysmal working conditions and a list of diseases that plagued the miners. I am spared the gruesome details by my lack of the language, and can’t get out of there fast enough. 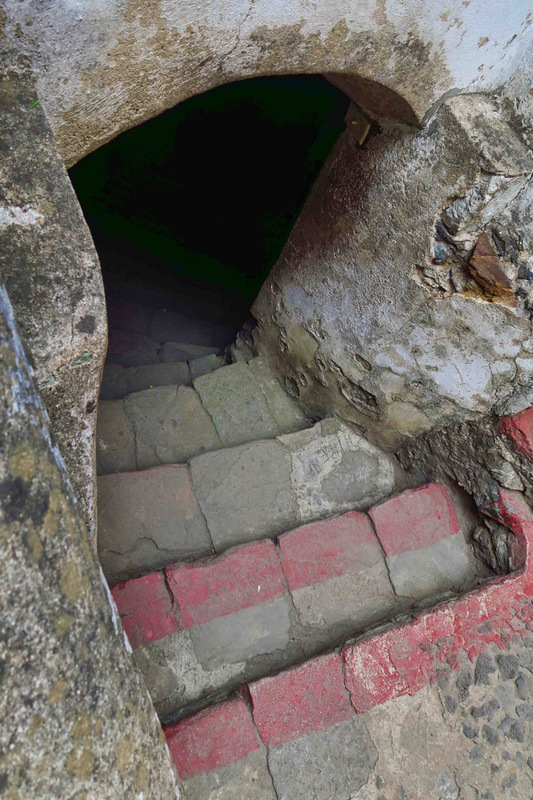 I don’t suffer from claustrophobia….until I can’t breathe. 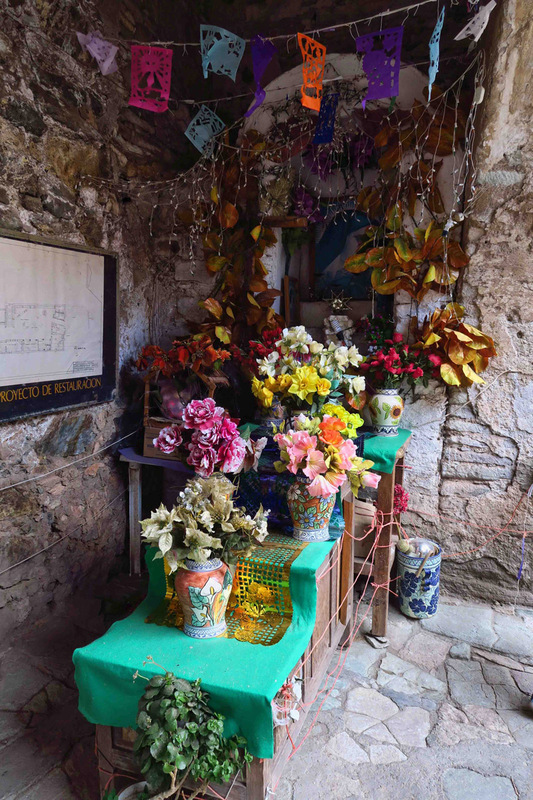 Altar at the entrance of the La Valenciana Mine. 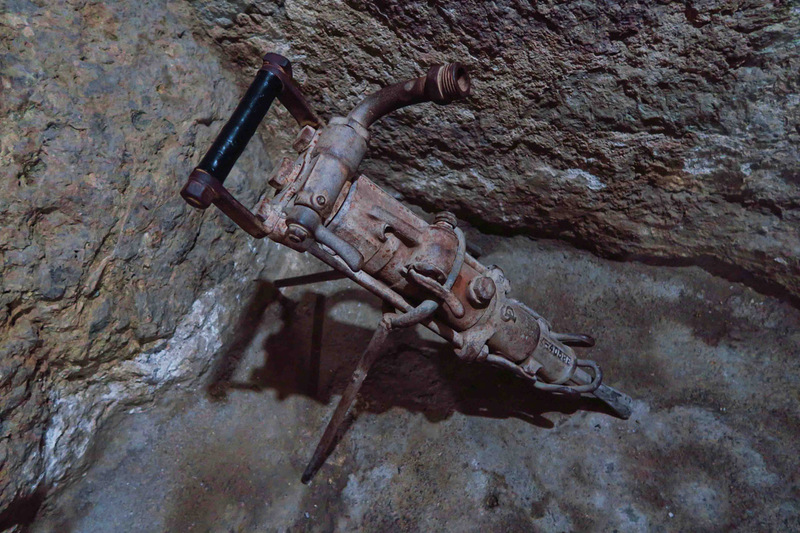 This instrument was used to blast water onto the heated rock, thereby causing it to explode, exposing the vein of metal. 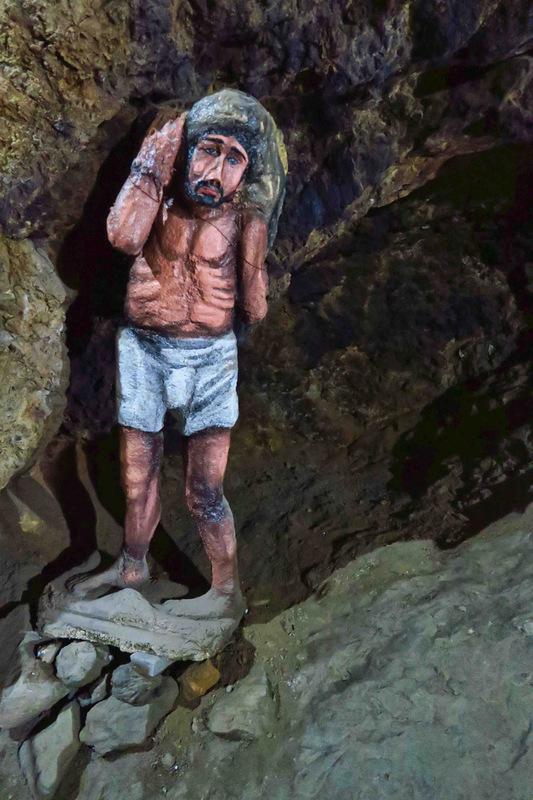 A replica of what the miners supposedly looked like…it was hot down there! One bit of folklore comes out of the tour. Legend has it that many men failed in repeated attempts to extract precious metals from La Valencia mine. Years passed with no success, until a miner who was a bit of a gambler came to town. 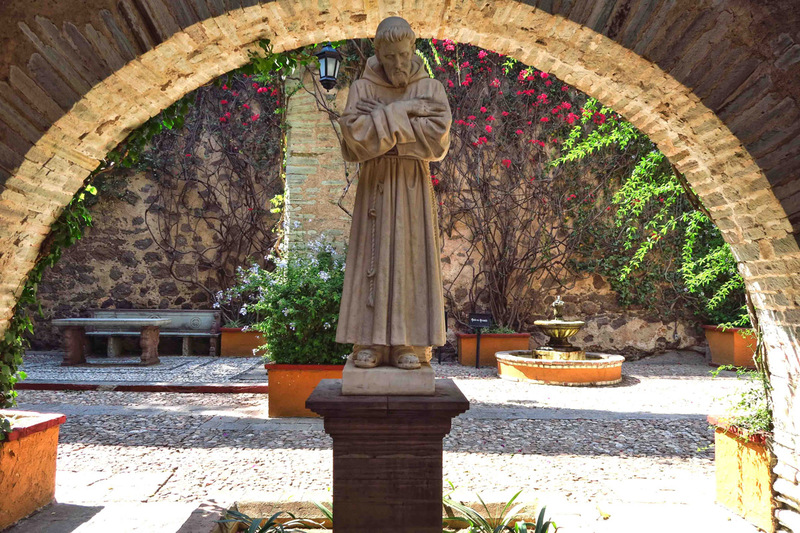 He supposedly made a deal with Saint Cayetano that if he could be allowed to find a vein of gold, he would build the largest church in the land in his honor, ergo the Iglesia of San Cayetano, aka the Templo La Valenciana (1765-1788,) considered to be one of the greatest masterpieces of the Mexican Churriguesresque style. 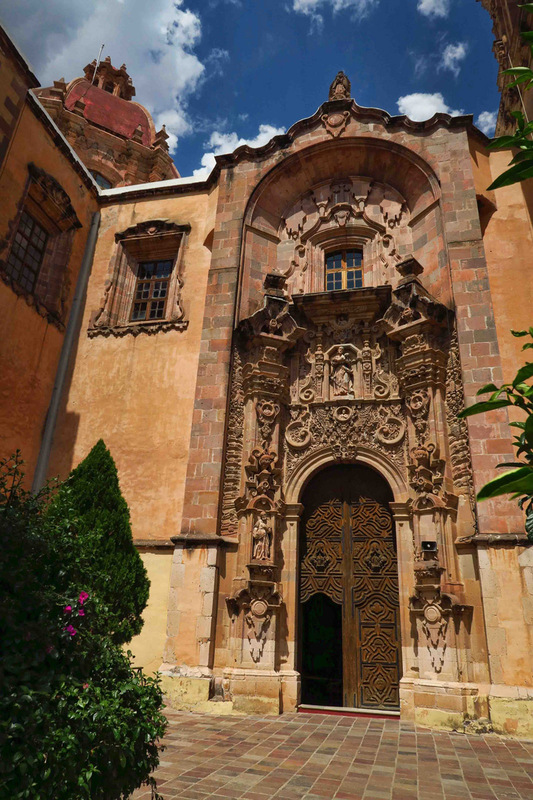 Named for the Spanish architect Churriguera, this Spanish Baroque style is known for its gaudy, overly decorated facades and altars. 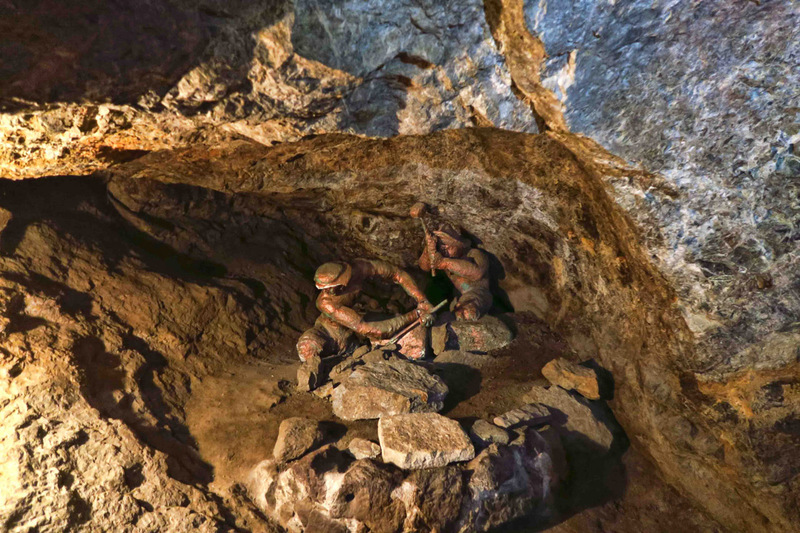 Depiction of miners at work. 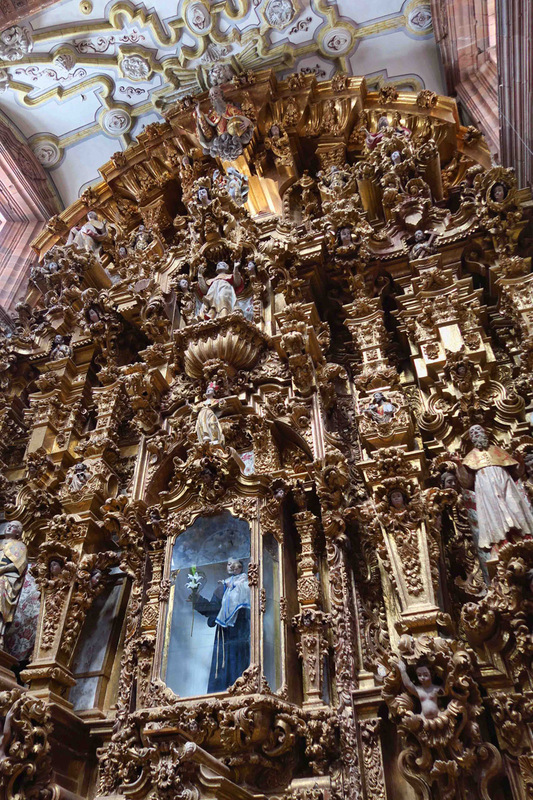 Just about the time I think “You’ve seen one Mexico church, you have seen them all,” I enter La Valenciana. 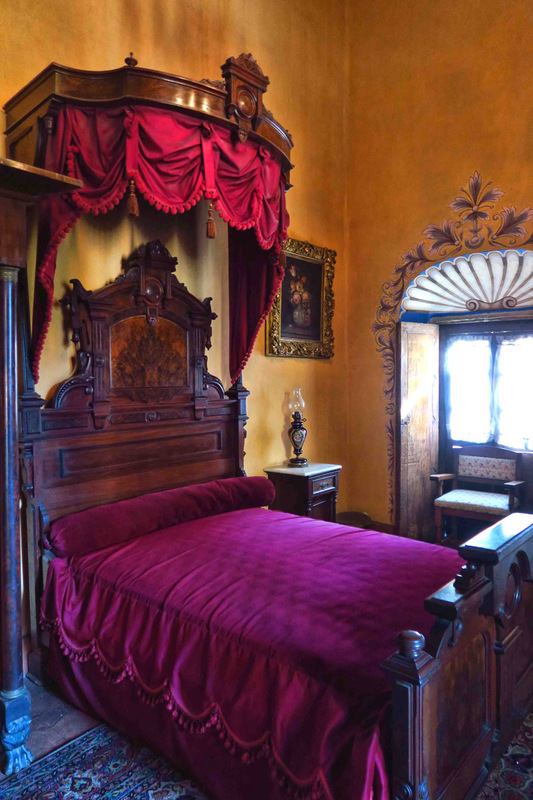 Not one but THREE floor to sky-high ceilings, every inch decorated in gold leaf. 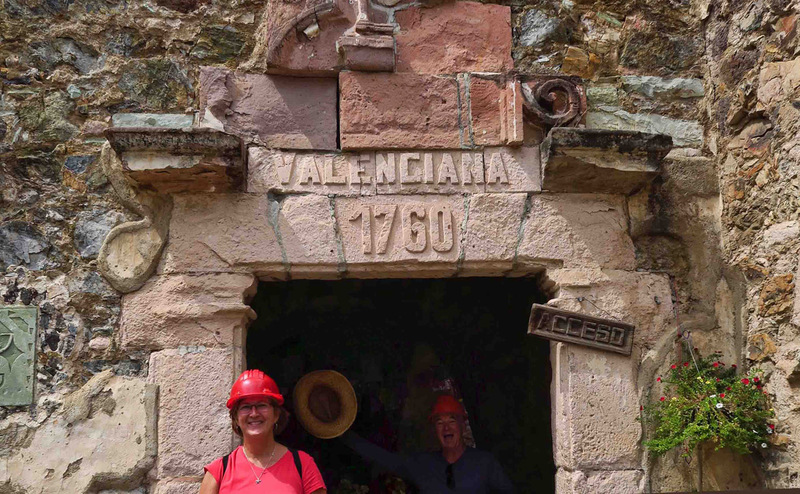 Seeing the inside of the church is worth the taxi ride to La Valenciana Mine alone, even if you don’t go down into the mine shaft. Beautiful Templo La Valenciana lost a bell tower due to deterioration. Hopefully UNESCO can protect the other one. Three altars are impossible to capture without a wide angle lens. All three altars are covered in gold leaf, floor to ceiling. Hardly one square inch without design. 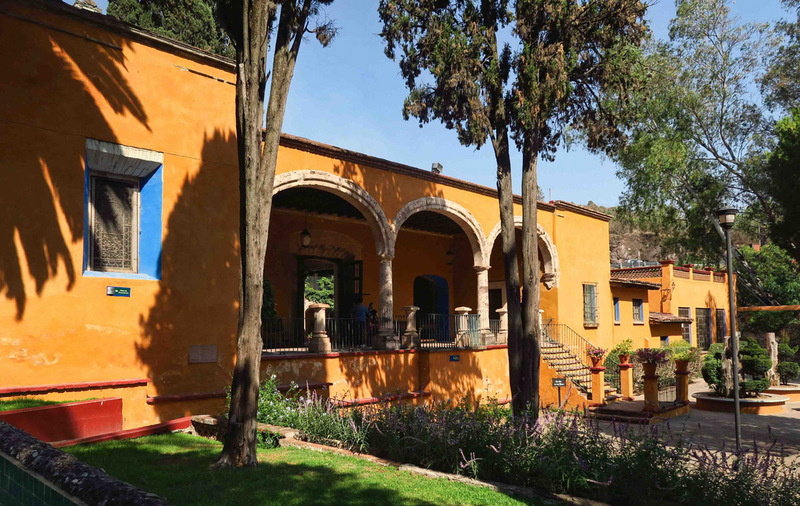 The following weeks activities include a field trip to Ex-Hacienda San Gabriel Barrera, a former hacienda built in the 17th century. 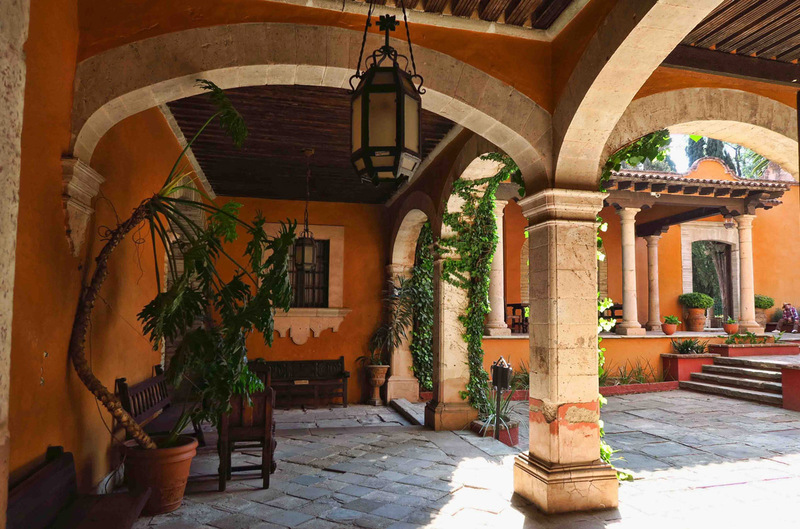 Yet another example of wealth acquired from the extraction of silver from Guanajuato’s hills, this is one of four “ex-haciendas” that were owned by descendants of the La Valenciana mine family of wealth. 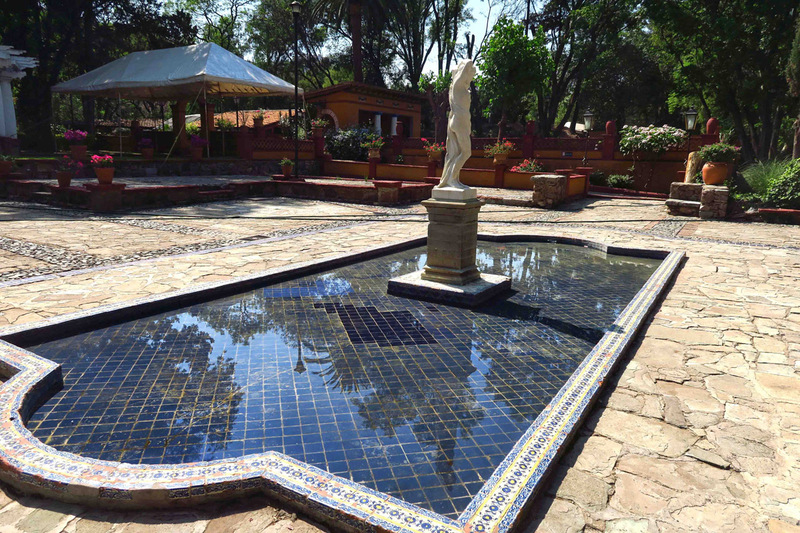 The grounds of Ex-Hacienda San Gabriel Barrera, built in the 17th Century. The house itself was made into a museum in the 1970’s. 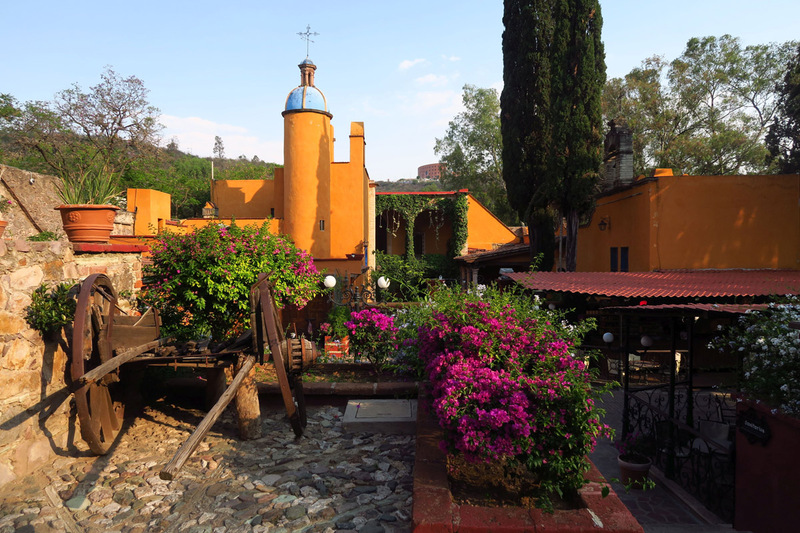 The hacienda was made up of three parts; the house and office, the chapel for religious services, and materials used for ore mining, such as wheels, aqueducts, ponds and stables. These long trough-like fountains are believed to have been for watering the horses who were used in mining the ore. 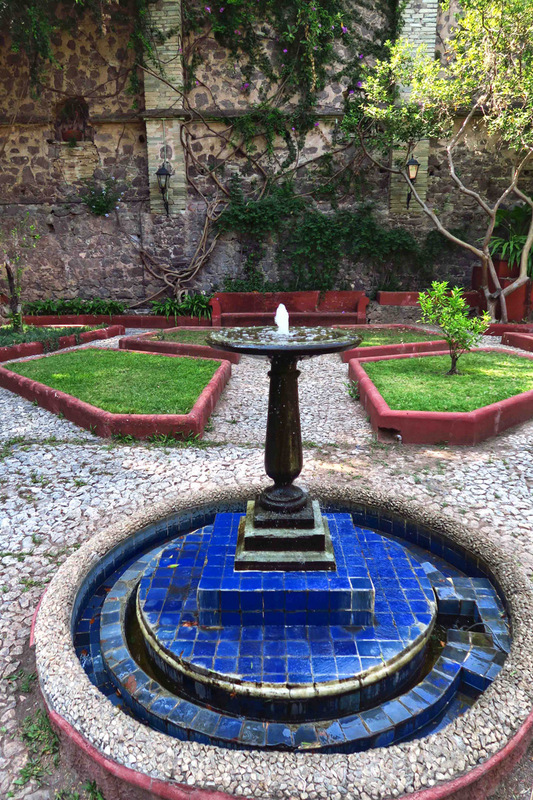 The Ex-hacienda has 17 different gardens, this one the Roman Garden. 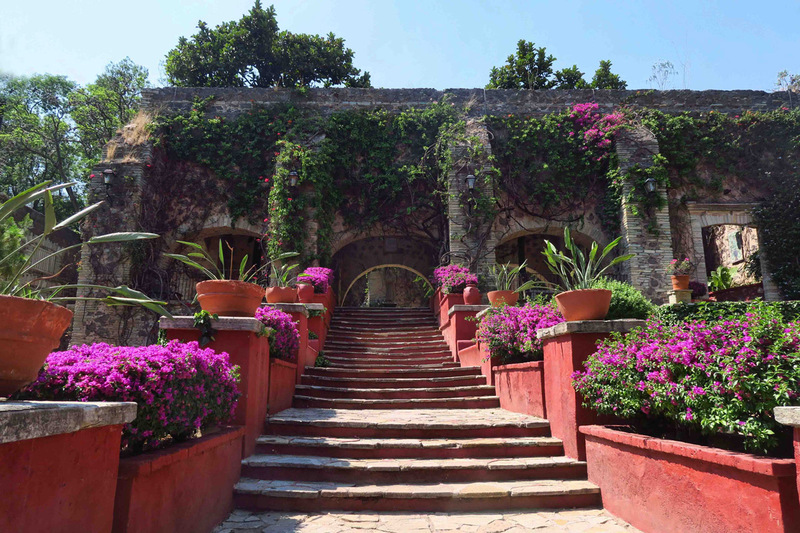 Not so much of a historical tour, this is more about wandering through the tranquil, lush green gardens…seventeen of them, in fact, each with a different theme; Oriental, Roman, English, Cactus just to name a few. 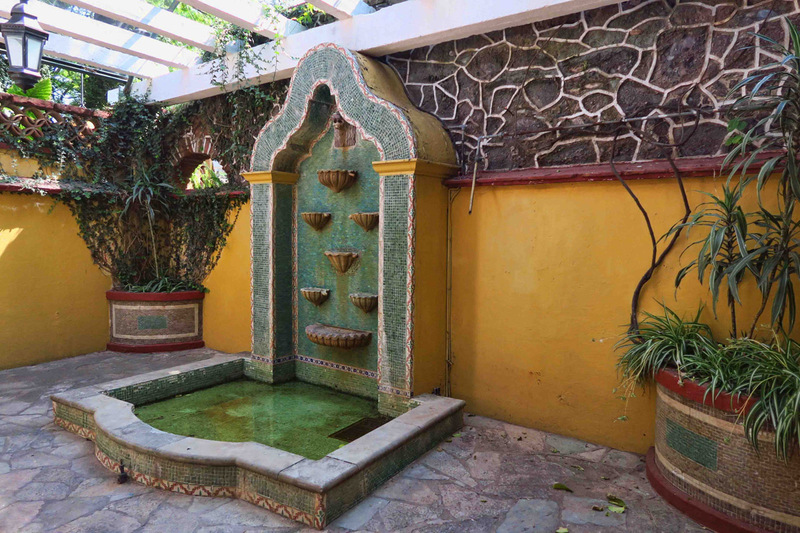 I could easily sit listening to the many fountains where water cascading over the antique sculptures creates music that can only be eclipsed by the birdsong coming from the giant palm and eucalyptus trees overhead. 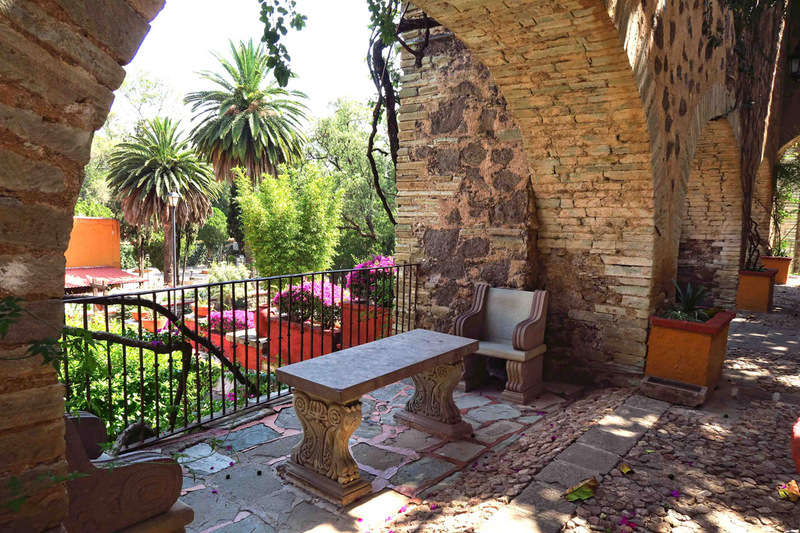 The gardens contain many alcoves and seating areas to sit quietly and bask in the tranquility. 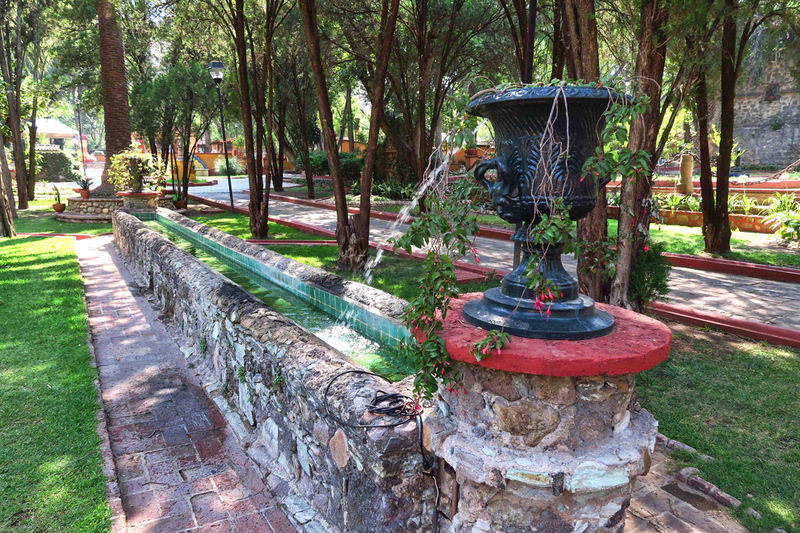 One of the many stress-relieving fountains in the gardens. 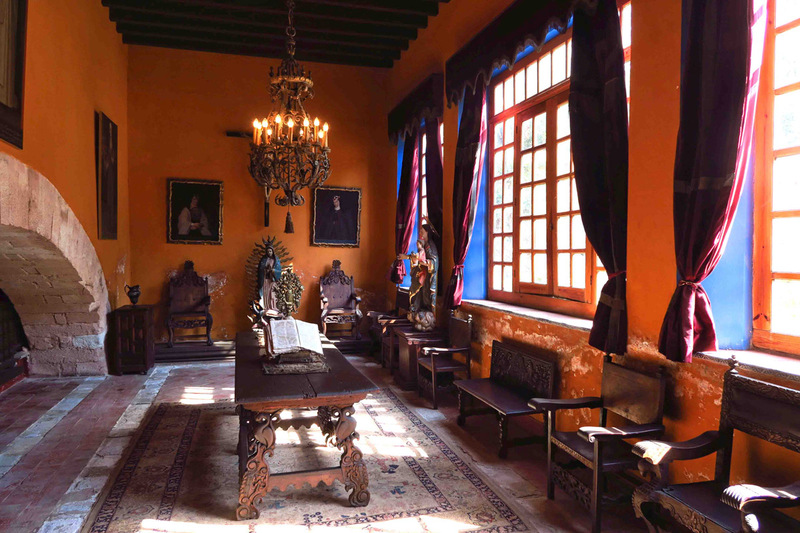 Inside the hacienda is a two-story museum containing period furnishings from the 17th Century. As I walk the halls admiring the grandeur, the craftsmanship of the recessed joints in the thick wooden doors, and the artwork and tapestries covering the walls, I ponder what the US equivalent would be of the price of admission to a mansion and gardens such as this, which is only 30 Pesos, about a buck fifty. 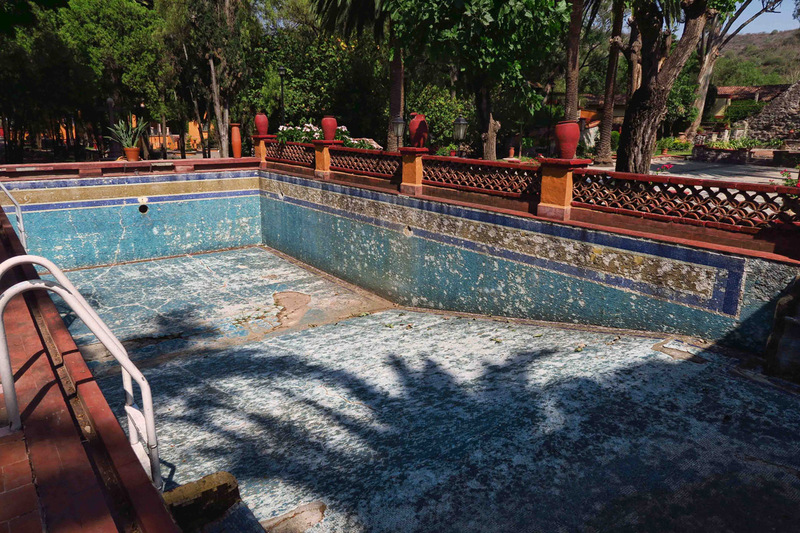 Sadly, this beautiful mosaic swimming pool, complete with underwater benches (outside of photo) has fallen in disrepair. This “concha” (shell) fountain was my favorite. There was much deliberation among classmates about the use of this structure. We finally agreed it must have been planters, with pots below to catch the water as it seeped through the porous vessels. Not only did I wander this venue alone save for my three other classmates, we capped off the afternoon field trip with some really cold beers in the Hacienda Café. School field trips are a whole lot more fun than they used to be! Courtyard flanked by rooms that were offices, bedrooms, and dining room. The massive 17th Century furniture in the dining room. 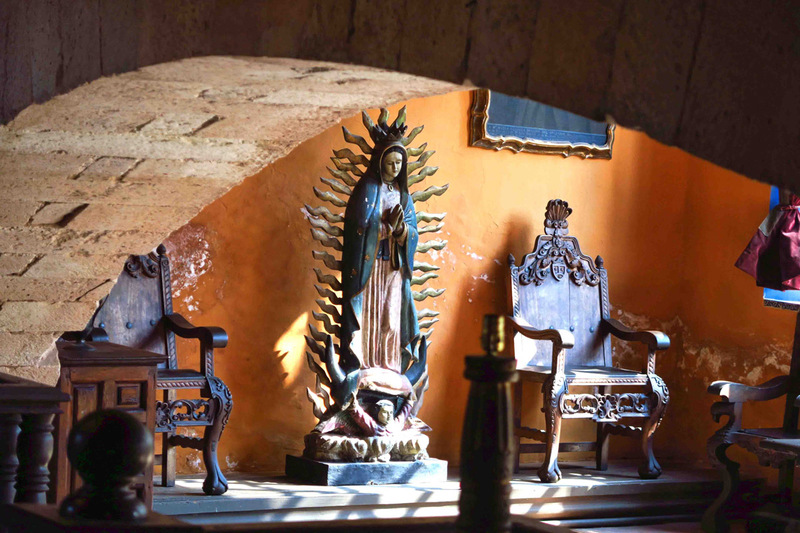 Statue of the Ubiquitous Virgin Guadalupe. On our second day in cooking class at Escuela Falcon, we make Chili Rellenos stuffed with cheese. 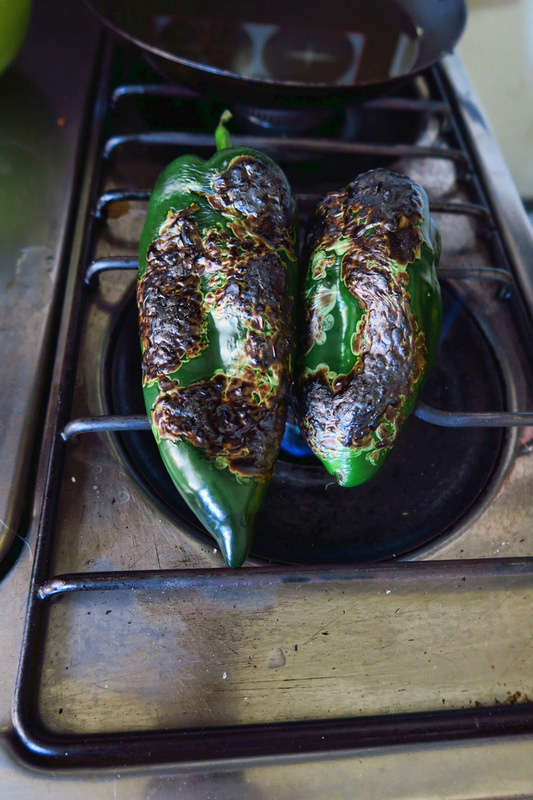 I am surprised by the simplicity of this recipe as we roast the poblano peppers right over the open flame, then pop them into a bag to steam, then immerse in water to slip the peeling off the large, flat peppers. The secret to the delicate coating is separating the egg white from the egg yoke, beating the egg whites until they cling to the bowl when turned upside down, then slowly folding the yolk into the egg white mixture before coating the cheese-filled peppers. 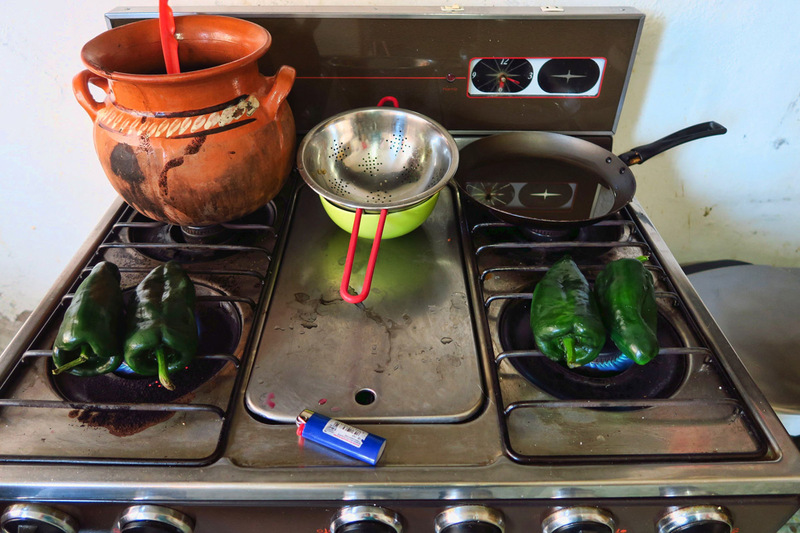 Roasting the poblano peppers right on the open flame. Fire roasted poblano peppers, blistered and almost ready to peel. 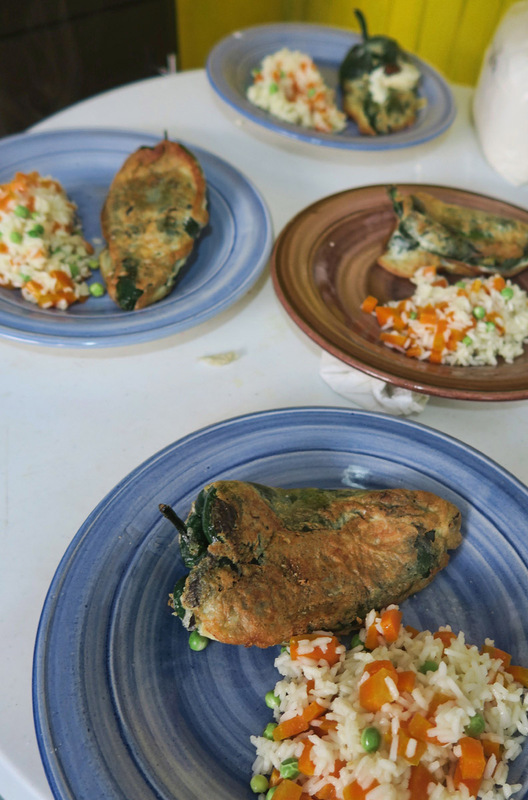 The finished product…Chile Relleno stuffed with cheese, and a side of vegetable rice. “Pan Elote,” homemade bread with a little cinnamon and sugar. It’s called “Elote,” the Spanish word for corn, because the bread sticks are shaped like little ears of corn, then sprinkled with cinnamon and sugar on top. 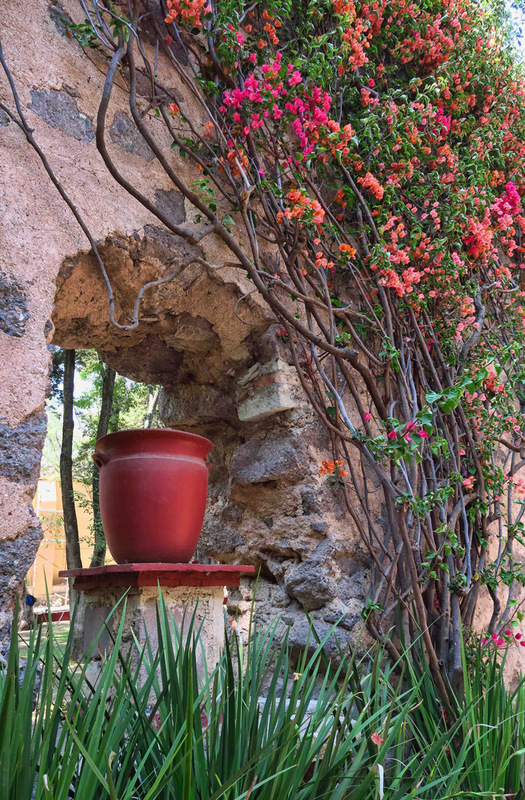 This entry was posted in Guanajuato and tagged Cooking class, Escuela Falcon, Ex-Hacienda San Gabriel Barrera, La Valenciana Mine, Spanish School, Templo La Valenciana by Suzanne. Bookmark the permalink. Next time we are sailing together, you can help me cook 🙂 Really looks like you are having a great experience there. Hope the Spanish is improving! That hacienda was exquisite! I’d compare that fee to the fees charged for the various tours available at Hearst Castle. You got an amazing bargain! 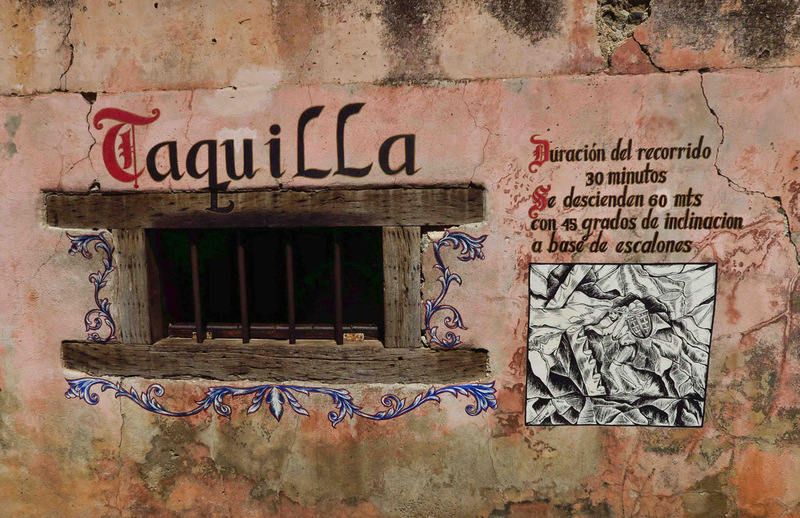 Your Spanish class is certainly a much better cultural intercambio than just language skills. Will you be doing the cooking at home now? Lisa and Jeff — As much as I am enjoying the cooking class, I don’t see myself fire-roasting chilies over the Winnie stove. LOL! Though you never know…leaving good Mexican food behind is gonna be tough! Thanks Suzanne for doing this, love your blog and have been with you for three years now. Due to your comment, I wanted to suggest a terriffic substitute for a wide angle lens is a cellphone camera in pano mode. The possibilities are endless. I rate the quality of mine 3½ to 4 stars on a scale of 5. 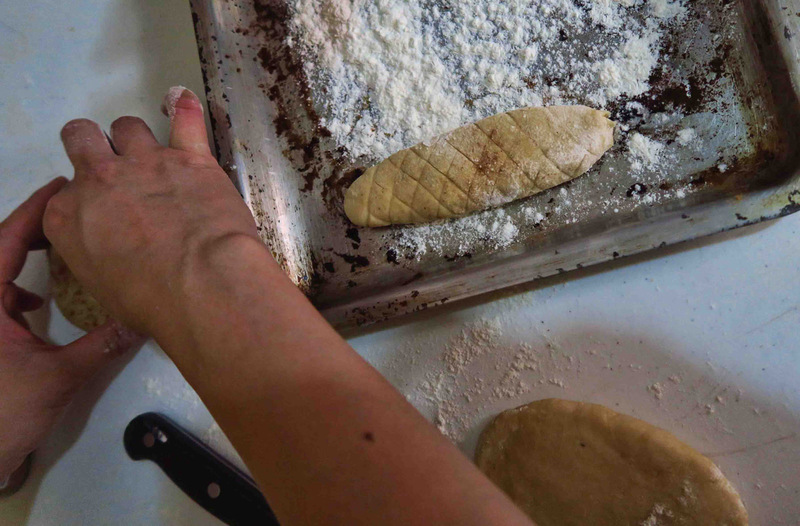 Don’t be afraid to over-pan, you can always crop what you don’t need later. Thanks for the great comment, Russ, and thanks for sticking with me for three years! I forget about the pano feature on my phone, so thanks for the reminder. Sadly, my iphone5 takes some of the worst photos I have seen, but you are right, it’s a fitting substitute when in a place like La Valenciana! Wondering about the word “ex-hacienda”. Many years ago, I toured Fords home and Edisions and probably others and a castle in Canada and they were not referred as ex-mansions or ex-castles. I hope the field trips help with the language barriers, I never took a language class in school and would always be frustrated by clients speaking their native language in front of me. Mmmmmmmm. The chile rellenos look really good. I love those things. I did not know about separating the eggs, beating the whites and etc. Who knew? I thought the same thing as Lisa about the cost of a tour of Hearst Castle compared to the $1.50 you paid to visit the ex-hacienda. No comparison! I have not thought about field trips in years but your mention of them brought back a flood of memories and recalling the associated excitement. Thanks for sharing…..that church is incredible! Finally some internet I can rely on. I have so many of your posts to catch up on. 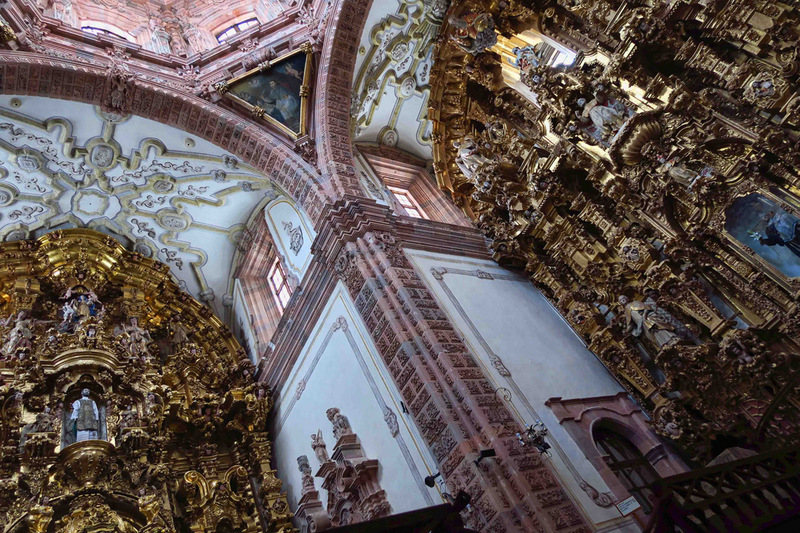 I am still amazed at the opulence of the Mexican churches. 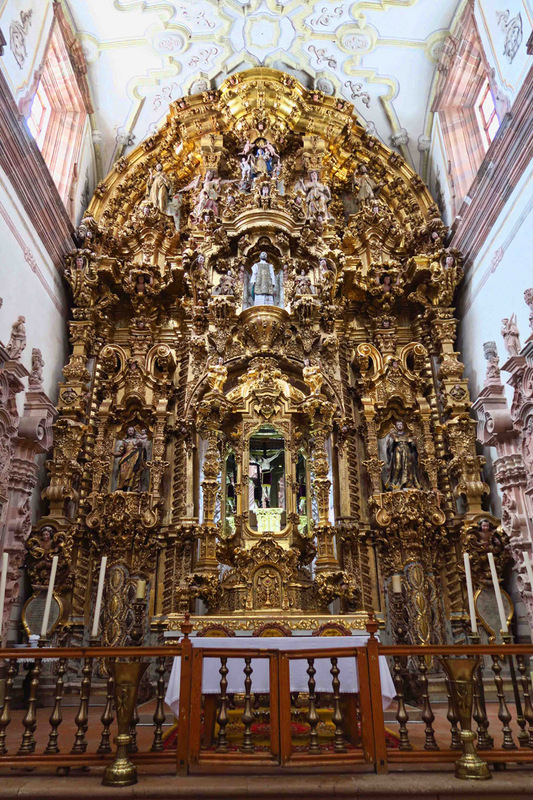 We found gold-leaf displayed in many we toured throughout Mexico. 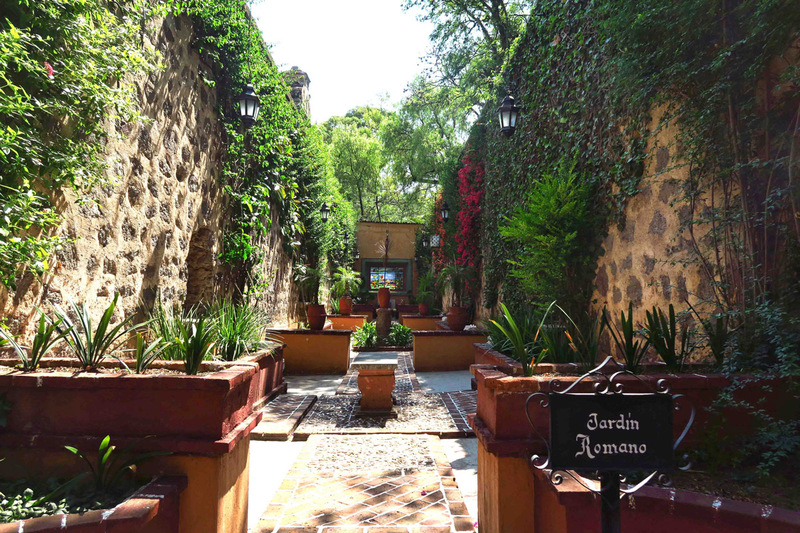 We also toured the hacienda and loved all the various gardens. What an adventure you are having Suzanne!